Freestanding bath made of DADOquartz with integrated overflow. (L 1650 x W 830 x H 500 mm). The Omina combines the elegance of a skirted bath with the durability and strength of a solid cast bath. Balanced and symmetrical, this cleverly proportioned bath is a must-have. Summer Place Spas & Baths specialises in bringing home the healing power of hydrotherapy with a wide range of luxury domestic spas, steam units and jetted baths. Whilst design inspiration is drawn from the latest in European trends, each product is carefully adapted and custom-made to suit the tastes, preferences and conditions of our discerning Southern African clientele. . 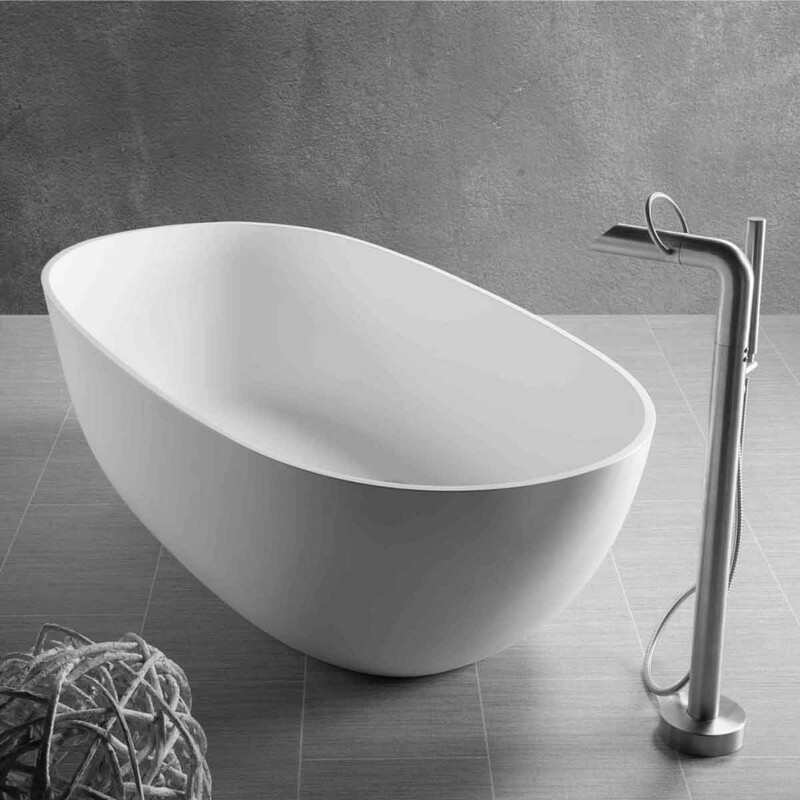 The Deonne bath is a contemporary freestanding bathtub inspired by modern and geometric lines. Ideal for the modern apartment. The Deonne is a clean, simple and classic form, an ideal. Enjoy the allure of engineered stone! Made entirely of white Exmar, In-Out is the circular bathtub with a very versatile personality. Available in a range of versions for freestanding, corner, built-in or niche installation. Taps can be fitted to the wall, floor, or directly on the edge of the tub. The great versatility and choice of versions mean In-Out can transform any interior with its timeless design. In-Out is available in numerous configurations. The freedom to choose the size means this bathtub can be adapted to any bathroom. The Carmen bath has a rectangular shape that flowers outwards towards the top. The satin finish of its solid body construction enhances the beauty of the bath's stylish design. The strong contemporary flair of this bathtub, will make it the focus of any bathroom. This contemporary egg-shaped bath has a 80mm wide rim. The Moloko bath is suitable for two people.